Since I got pregnant oranges have been my best friend. I don’t know why, it’s just the only fruit I seem to be able to stomach. Outside of the dried apples anyways. First it was those tiny mandarin oranges. It has recently switched to regular old naval oranges. The idea for this started with an abundance of mandarin orange peels. I hate throwing things out, especially when I know they can be used for something so I roamed the internet looking for ideas in what I could do with them. I tried putting a bunch in a jar with white sugar like I used to do with vanilla beans at work. I was a little over zealous though and overnight most of the sugar liquefied. Will have to give that another go. 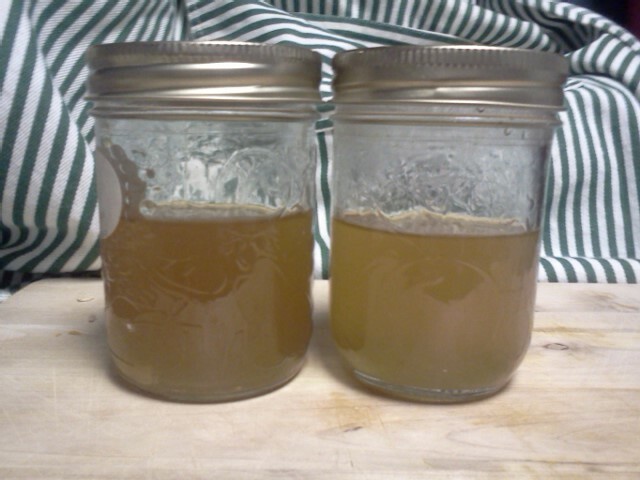 I stuffed the rest into a 250ml mason jar and covered them with white rum. I’ve been sober for a year and a half and since my darling husband pretty much quit drinking with me as a show of solidarity, so the rum has been sitting there for ages. Something needed to be done with it. That started the mandarin orange “oil”, as it’s called online, in my universe it’s an extract but whatever. A few days later I rediscovered the bag of lemons I had bought, hiding in the back of the fridge. Once again, something had to be done with them before they spoiled. I peeled the zest off a few with a regular old peeler and stuffed those into a 250ml mason jar and covered those in rum. I juiced the rest. After a few weeks sitting in a dark cabinet I pulled them out yesterday and removed the peels. They both smell amazing, WAY better then any extract I have ever bought from a store. Below is a basic outline of the steps involved. 2. Peel the zest (the coloured part) of the fruits off, filling a jar with lemon peel and the other with orange peel, leaving about an inch free at the top. 3. Cover with the alcohol, making sure to cover all of the peel. 4. Cover with lids, screw tops on, label and put into a dark cool cupboard for 2-4 weeks. About once or twice a week give the jars a gentle shake. 5. After a few weeks remove the peels and discard, closing the jars up again, leave them in the cupboard and use as you would any other extract. *I haven’t used them yet, but I have a suspicion they will be stronger then the stuff you get from the store, so maybe try a little less then the listed amount on your recipe the first time just to be safe. yum! marmalade or lemon curd would be yummy too. 🙂 I love citrus. Oh mandarin marmalade! YUM! I’ll have to give that a go. Lemon curd is one of my favourites…I eat it right out of the bowl with a spoon! Thanks for the comment! Use it in a marinade – maybe some chicken, or think of how awesome that would make pork taste! Again, the alcohol would all cook off during cooking, so no evil hooch.